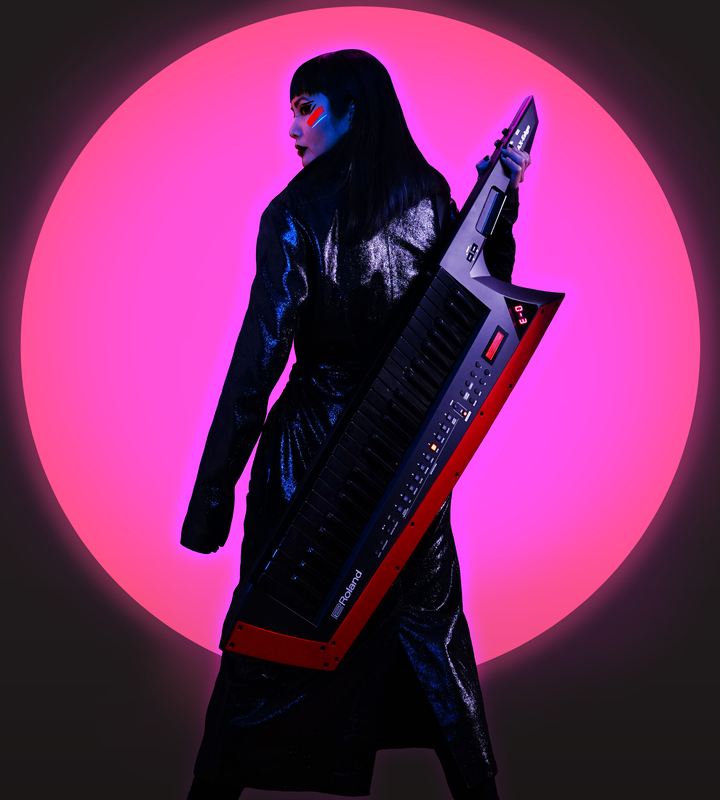 New York, NY – Synth and electronic rock artist C Z A R I N A releases an invigorating new single, “In the Line of Fire.” The awe-inspiring artist blasts listeners into outer space in the heat of laser-beamed warfare within her new adrenaline-charged, Sci-Fi anime-inspired theatrical electronic rock opera. “In the Line of Fire” is now available for streaming and download on digital platforms worldwide. At the age of fifteen, C Z A R I N A, also known as Vero Faye, discovered the electric guitar and began to compose her own rock music. As time passed, she found herself being pulled away from music and into design. Subsequently, after high school she went on to attend New York’s Fashion Institute of Technology and pursued a career in the fashion industry. In the years that followed, C Z A R I N A founded her own design company, IVY KIRZHNER NEW YORK. She found tremendous success within her business in building a clientele list that included Beyoncé, Jennifer Lopez, Shakira, Lily Collins, Tori Kelly and more. With the paramount accomplishment of her company, C Z A R I N A decided to venture back into music and form a sound that is a true reflection of her dynamic skillset as a creative professional. C Z A R I N A blurs the lines between retro and modern, along with vivid and colorful lyricism, sonic guitars, heartfelt melodies and vocal hooks which are all signature to a soundscape that is truly her own. Her trademark persona has garnered attention from publications including Guitar Girl Magazine, Dark Beauty Magazine, and She Bops. The latter praised, “...C Z A R I N A showcases her fearlessness and free-spirit through a mix of knowledge between aesthetic and sound.” Music Connection Magazine even named her one of their Hot 100 Unsigned Acts of 2018. To keep up with C Z A R I N A and her evolving musical projects, visit CzarinaOfficial.com and Instagram @Czarinaofficial. “In the Line of Fire” is now available on digital music platforms worldwide.